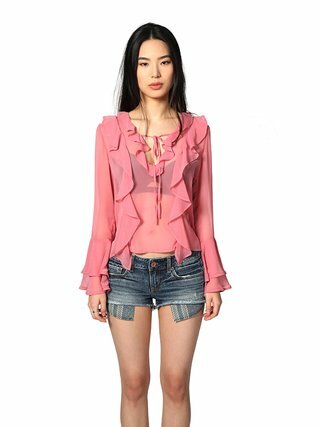 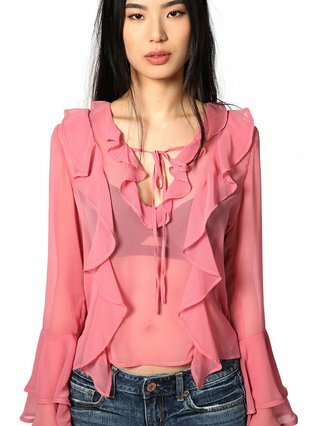 Inspired by Chengdu, the capital of Sichuan, the Heart of Sichuan top by Duchess of Anarchy was designed on a light, dusty rose chiffon that keeps you cool throughout the day. 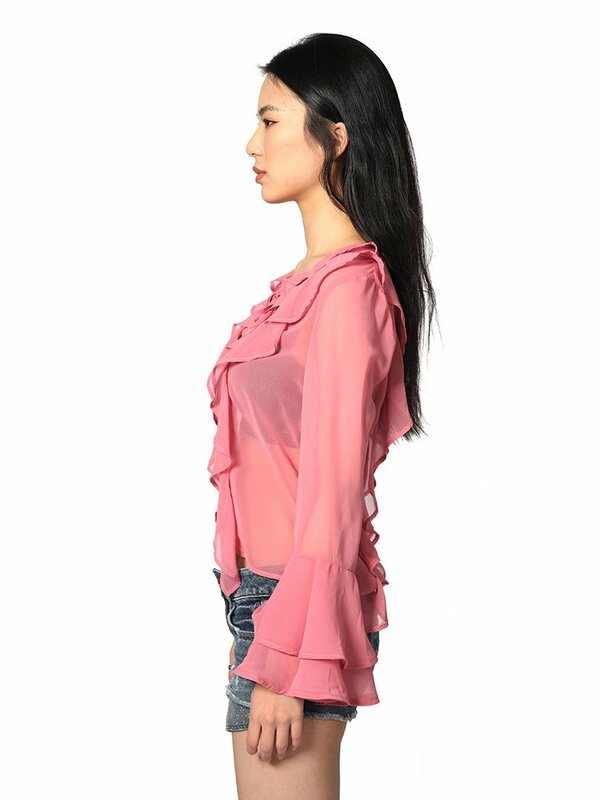 Featuring two-tier ruffled sleeves, the semi see-through fabric gives this top the perfect amount of peekaboo. 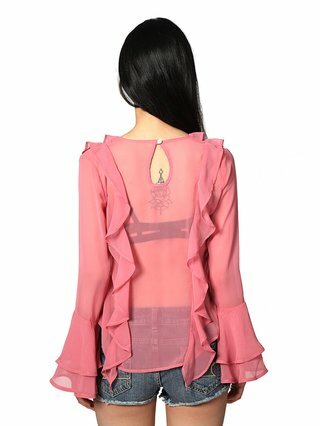 Wear this versatile top tucked into denim shorts or a maxi skirt for a sweet look with a touch of spice.